Yes, you read the title right, PWAs - Progressive Web Applications - are now a bona fide way of gaining new apps under Windows 10 Mobile. I have several examples, but I'll start with Flipboard. With the withdrawal of the old WP8.1 app last Autumn, the PWA provides an almost identical experience and will work on any device that runs a modern web browser (such as Edge). 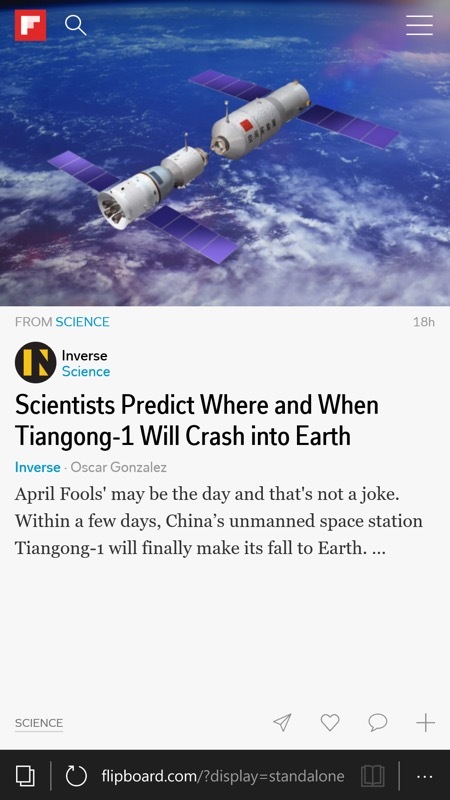 There's not even a 'magic' URL to go to anymore, since just flipboard.com worked fine for me. And no, this isn't just me reviewing a web site, since there's quite a bit of code that downloads and runs locally, providing the 'flip' UI and 3D effects. Now, caveat alert, it's true that 'loading' the Flipboard PWA takes three or four seconds, but you get an animated Windows flag icon to show that something's happening. And it's true that there can be short delays in bringing up content in the first few seconds after the PWA loads, but once everything's on board then the experience isn't too far from that of a truly native Windows application. 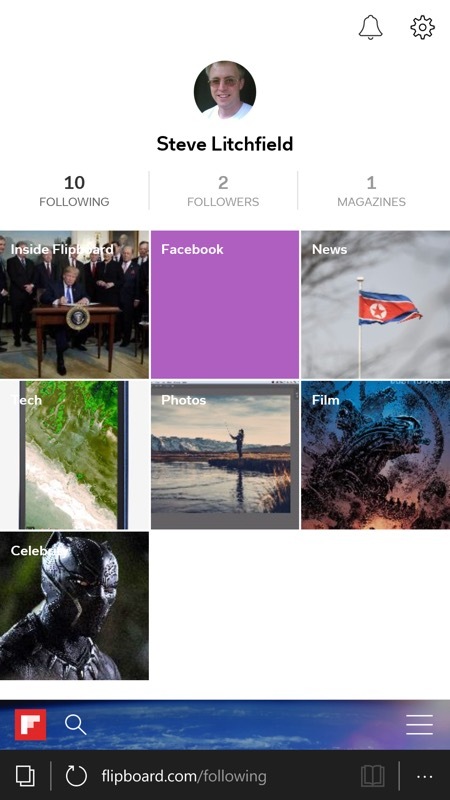 Flipboard, in case you're new to the idea, is a slick way of bringing news and magazine stories from around the world together in one place in a heavily graphical format. 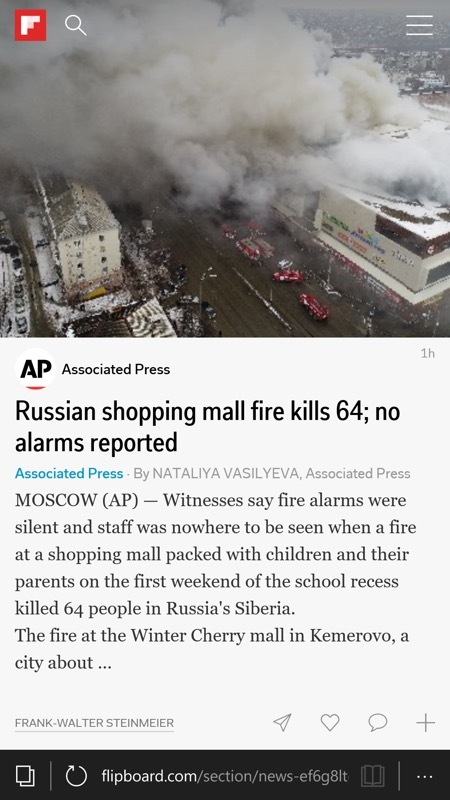 The idea is that you select the story categories that you're interested in and then you 'flip' from headline to headline (each with pretty photo), tapping through to the web pages and stories as needed. 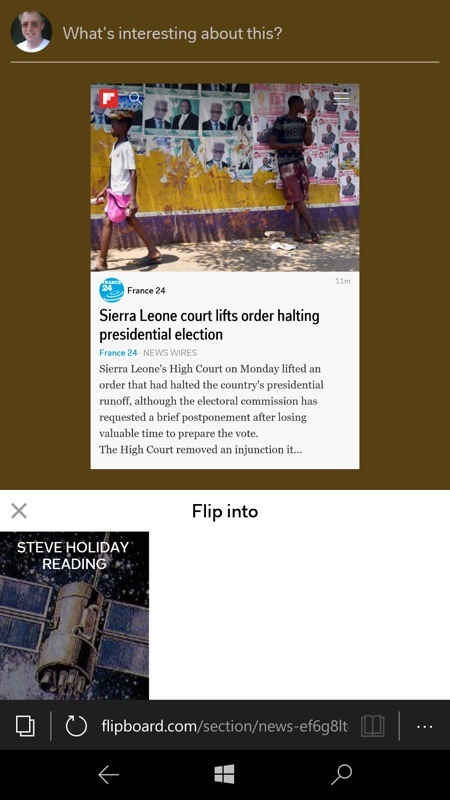 The '+' control 'flips' a story into a saved folder of your choice, in this case 'Steve's Holiday Reading', though how you bookmark stories is very much up to you; (right) most headlines have an associated photo (of course, this is Flipboard, after all) and some text. In true RSS-style, this is often limited to a paragraph or so, but you'll usually get the drift. And the full story is only ever one tap away! 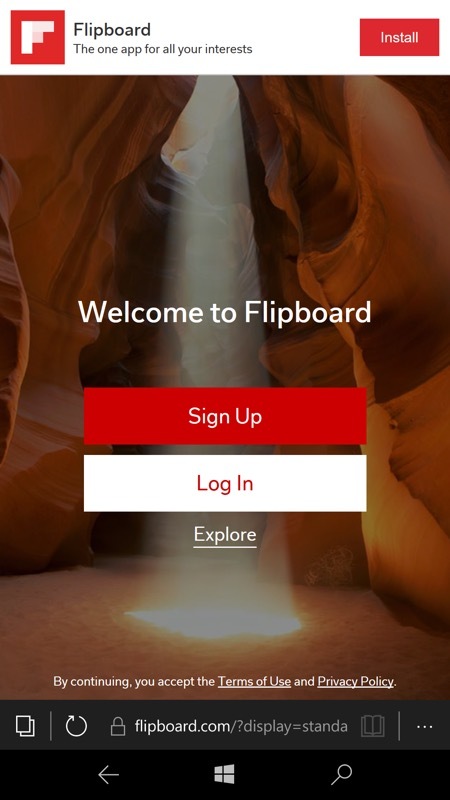 There are a few extra caveats worth mentioning, and the first might be a showstopper for some newcomers to Flipboard. Unless I'm missing something, there's no way to add Flipboard story categories to your profile from the PWA/site - it's assumed you've already set up your favourites at some point in the past or via an application on another platform. Not an issue is you have, in fact, already done this, as I had, but worth noting anyway. Finally, a PWA like this won't appear in your Applications list or - by default - your Start screen. But you can pin it there manually from the Edge '...' menu. But as with any web page/URL that you can call up via (for example) a Start screen shortcut, if you get too enthusiastic about using this without checking if the PWA is already running in an Edge tab then you can end up with multiple copies in RAM. Not a major problem, I suspect, but it could get confusing unless you close tabs and generally stay aware of what Edge is running. 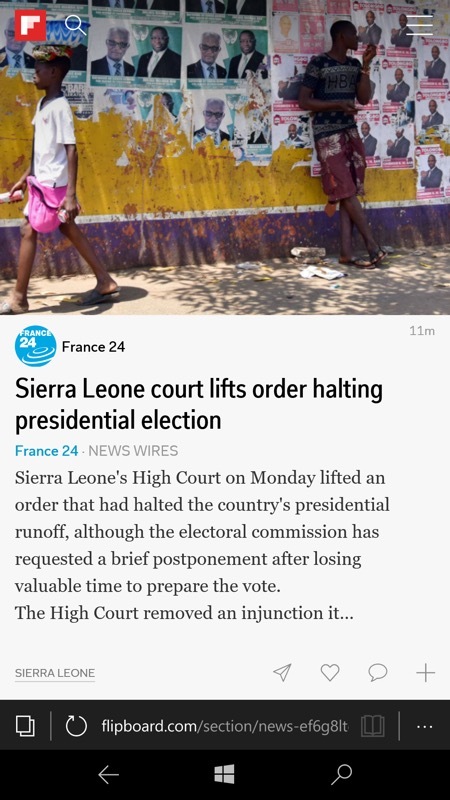 Overall I was impressed though - I've always been a Flipboard fan and this is an easy way to bring up its interface onto the world cleanly on any Windows 10 Mobile phone - and its code will always be bang up to date. PS. If you hit any sign in issues (e.g. via Google or Facebook) then try signing into that service in another tab first - that worked for me when I hit a blank screen as part of a third party sign-in.